Coast2Coast – colour, cameras, community. Focussing on youth, the founders Emi and Nico have created a thrilling workshop series. 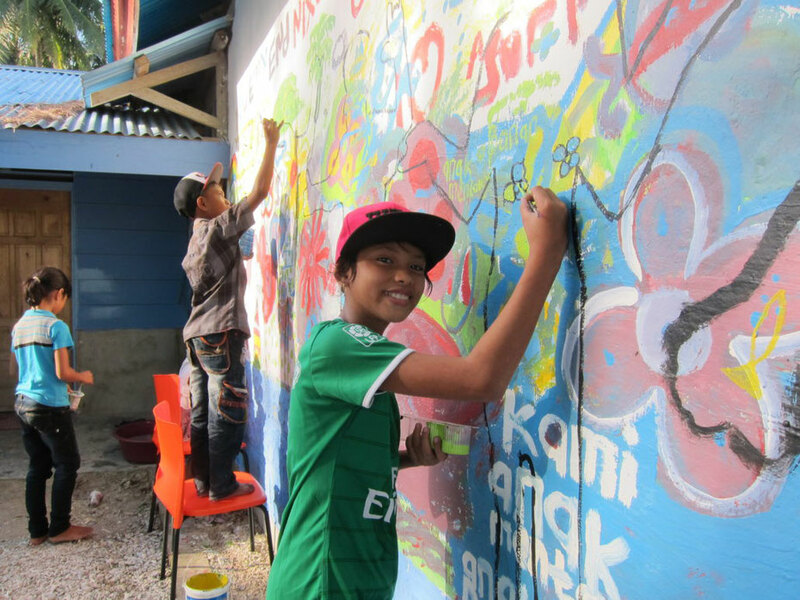 Firstly they asked the local children to think of what their local beach means to them and then to go wild painting pictures, writing words onto our school wall, pouring out all they feel. Next each child stood against the wall to have their profile outlined on the wall, incorporating some of what had been painted and written. Then in finer detail they had to paint on top of this what they had in their head, felt in their heart and soul when they thought of their local beach. The process was a lot of fun and the results spectacular. That was only phase one though.